We may collect personal identification information from Users in a variety of ways, including, but not limited to, when Users visit our Website, fill up the contact form or posting comments in the blog posts. Users may be asked for name, email address, phone number as appropriate. However, users visit our Website anonymously; we will only collect personal identification information from Users if they voluntarily submit such information to us. Users can always refuse to supply personally identification information, except that this may prevent them from engaging in certain Website related activities. We may collect non-personal identification information about Users whenever they interact with our Website. Non-personal identification information may include browser name, type of computer and technical information about Users means of connection to our Website, such as the operating system and the Internet service providers utilised and other similar information. None of these information, however, compromises personal information of Users. Cookies allow us and help us to recognise and count the number of visitors that our website receives and how easily visitors move around the site when they’re using it. What are these cookies used for? These analytical cookies help us to improve the way our website works, i.e. to ensure that our visitors find what they are looking for without having to click too many times, or navigate for a long time. Can I opt-out from these ‘analytical cookies’? We continually strive to improve our website services and user experience based on the information and feedback we receive from you. Under the General Data Protection Regulation (GDPR) (EU) 2016/679 users have the right to understand how they data is collected, used and stored. Which are my rights as user? We have listed below the rights that users have; some of these may be complex and therefore they have been summarised for easier understanding. Users should read the relevant laws and law guidance from the authorities for a full explanation of these rights. Bart Photography ensures and will ensure compliance when data collected is used in accordance to the right for users to be informed and opt-in or out. For example, is you send us an email or fill up the ‘Contact Us’ form you acknowledge and consent that you data will be stored. We will store invoices and other personal data for a seven year period after the service and fully deleted after. Wedding information, notes and planning will be kept in storage for a maximum of two years after the service. We can delete any of this personal data upon request, whenever doesn’t affect the running of an agreed service, by contacting us to info@photobart.uk. 1.1. You have the right to confirmation as to whether or not we process your personal data and, where we do, access to the personal data, together with certain additional information. That additional information includes details of the purposes of the processing, the categories of personal data concerned and the recipients of the personal data. Providing the rights and freedoms of others are not affected, we will supply to you a copy of your personal data. The first copy will be provided free of charge, but additional copies may be subject to a reasonable fee. You can request your personal data by contacting us. 2.1 You have the right to have any inaccurate personal data about you rectified and, taking into account the purposes of the processing, to have any incomplete personal data about you completed. However, there are exclusions of the right to erasure where processing is necessary such as exercising the right of freedom of expression and information; for compliance with a legal obligation; or for the establishment, exercise or defence of legal claims. 4.1.2. We no longer need the personal data for the purposes of our processing, but you require personal data for the establishment, exercise or defence of legal claims; and you have objected to processing, pending the verification. Where processing has been restricted on this basis, we may have to continue to store your personal data. However, it will only be processed with your consent for: the establishment, exercise or defence of legal claims, protection of the rights of another natural or legal person ort or for reasons of important public interest. 5.1. You have the right to object to our processing of your personal data on grounds relating to your particular situation, but only to the extent that the legal basis for the processing is that the processing is necessary for: the performance of a task carried out in the public interest or in the exercise of any official authority vested in us; or the purposes of the legitimate interests pursued by us or by a third party. If you make such an objection, we will cease to process the personal information unless we can demonstrate compelling legitimate grounds for the processing which override your interests, rights and freedoms, or the processing is for the establishment, exercise or defence of legal claims. 6.1 The right to data portability gives individuals the right to receive personal data they have provided to a controller in a structured, commonly used and machine readable format. It also gives them the right to request that a controller transmits this data directly to another controller. 7.1. If you consider that our processing of your personal information infringes data protection laws, you have a legal right to lodge a complaint with a supervisory authority responsible for data protection. You may do so in the EU member state of your habitual residence, your place of work or the place of the alleged infringement. 8.1. To the extent that the legal basis for our processing of your personal information is consent, you have the right to withdraw that consent at any time. Withdrawal will not affect the lawfulness of processing before the withdrawal. Bart Photography does not share, sell, trade, or rent Users personal identification information to others (email, phone numbers, names, surname, addresses or date of birth). The information is purely used for business purposes and/or for sharing latest news from our blog if the user has agreed beforehand. 1) We are registered in England and Wales. 2) Our registered business address is at 18 Selby Walk GU21 3DT. 3) You can contact us via the contact form or email published on our website or post to the address above. 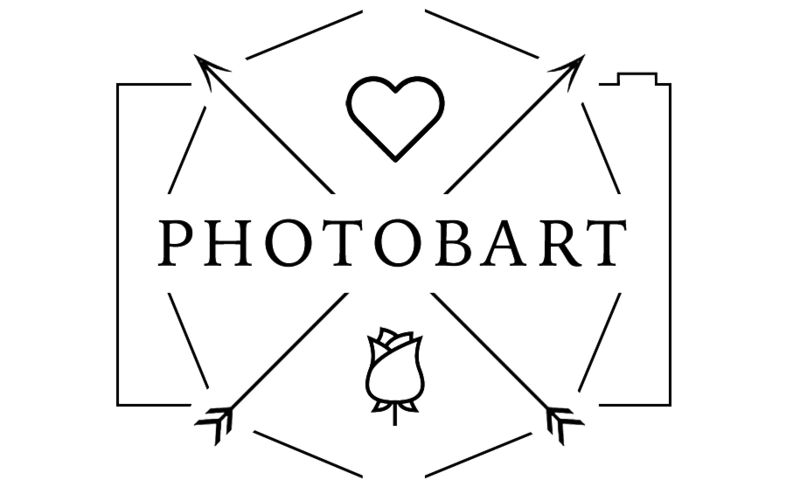 4) This website is owned and operated by Bart Photography and hosted by SiteGround. Both companies are based in the UK.